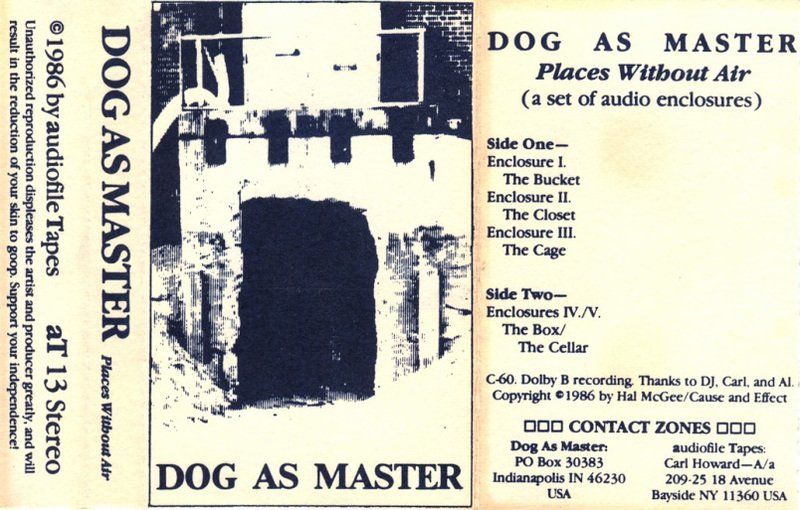 Places Without Air by Dog As Master consists of spoken word routines and audio theatrical works. Originally released on cassette on the audiofile Tapes label (aT13), Bayside, New York. Reissued by Cause And Effect in 1988. Re-released by Harsh Reality Music in 1989.